The owners of this modern apartment describe it as an oasis in the city. “It is very conveniently located, all one level, with indoor and outdoor areas for entertaining and relaxing,” they said. The apartment takes up the entire ground floor of the complex and with its abundance of indoor and outdoor space, feels as roomy as a house. The owners said there was room for visitors and entertaining, or solitary pursuits without disturbing each other. “It is ideal for professionals sharing, corporate couples as well as being an extensive family home,” they said. 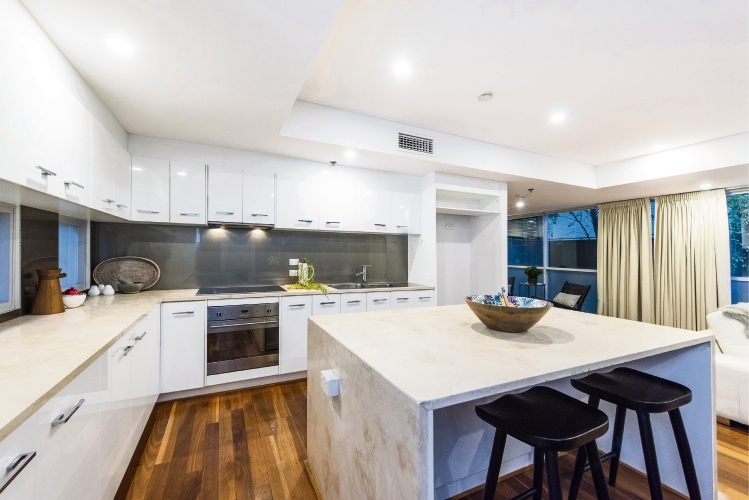 The home has an open-plan living/dining/kitchen area with timber flooring, and marble benchtops and wine fridge in the kitchen. 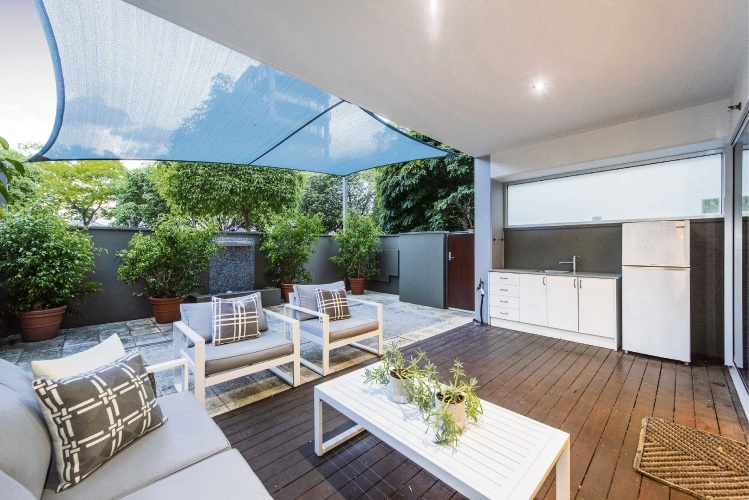 This space opens to an alfresco area with built-in kitchen and courtyard with gate and water feature. 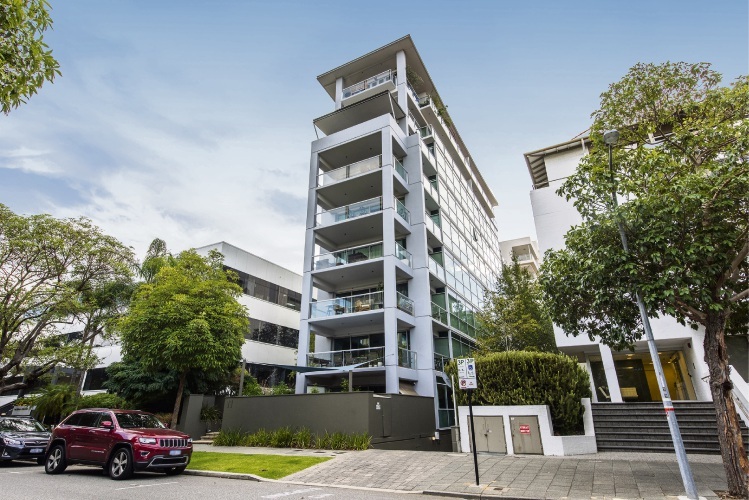 The owners said the layout offered a lovely view; looking through the living spaces towards the street revealed the water feature and greenery, bringing the outside in. A door separates the living zone from the bedrooms. 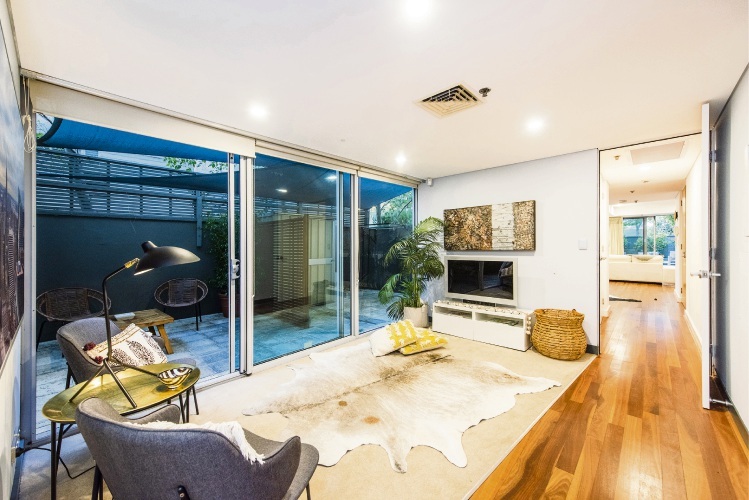 This part of the home includes a study area, or second sitting area and the master bedroom with built-in robe and ensuite with a bath, and a wall of glass overlooking a north-facing courtyard. Both the study and master open to this outdoor area. 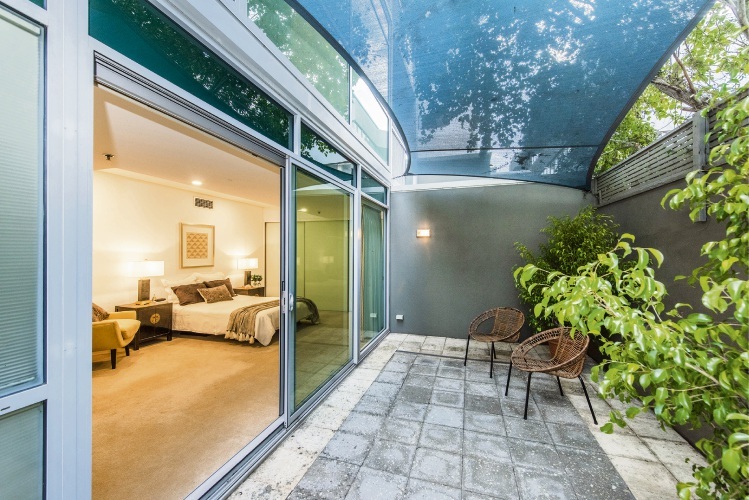 There are two more bedrooms with built-in robes and ensuites that share another courtyard. “We love the outdoor areas: the sanctuary outside the master suite, the alfresco kitchen area, fenced for privacy and security but open and airy for peace and entertaining a gathering,” the owners said. 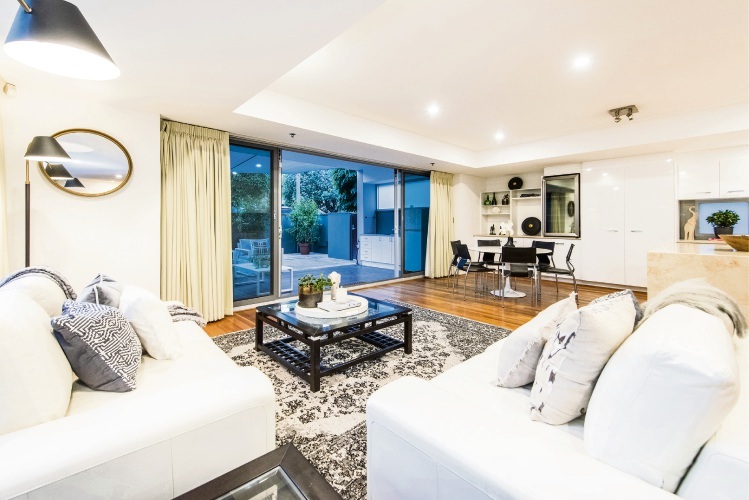 The home is in walking distance of Kings Park and close to the shopping and dining precincts in West Perth and Subiaco.